NIA CHARLESTOWN NEVIS (January 25, 2018) — Nurse Ermine Jeffers, Coordinator of the Community Health Nursing Services in the Ministry of Health, is urging all women on Nevis to take advantage of the second annual island-wide free clinic for cervical cancer screening at health centres from 8 a.m. to midday on January 27, 2018. “We are doing this because we realise that health centres are open from Monday to Friday and we have persons in our community who work Monday to Friday and are unable to access the service at the health centres. So because of this, we have decided to open on Saturday so that those persons can come in and have their pap smears done. “We are targeting all females. As long as you are sexually active you should have a pap smear done. I would like to take this opportunity to encourage all women to take advantage of this free service and I would also like them to remember that early detection saves lives and if detected early, cervical cancer is one of the most successfully treatable cancers,” she said. In response to the question of confidentiality, Nurse Jeffers said the matter was one of paramount importance and it is taken seriously by the nurses. Therefore, there is no need for worry when the results are returned from the lab four weeks later. The test is a free service offered throughout the year at all the health centres. However, if it is done at a private doctor’s office women would have to pay. 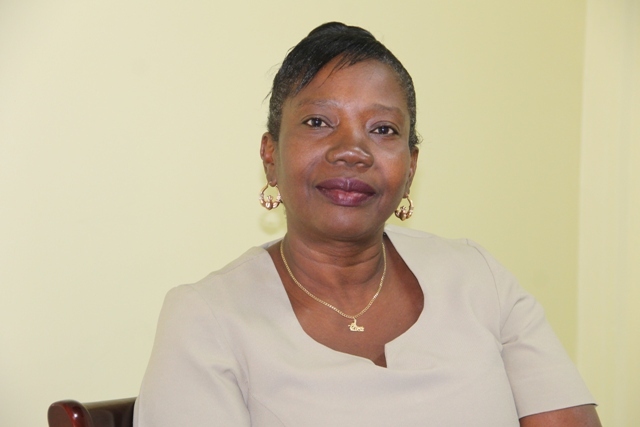 Nurse Jeffers indicated that every clinic has a particular day in the week when the service is offered and anyone wishing to attend could call any of the health centres for information pertaining to when they are offering the cervical cancer screening clinic.